We know this issue impacts men and women, but we also know there are significant additional impacts for women workers. Show how important this issue is for transport workers in your union! 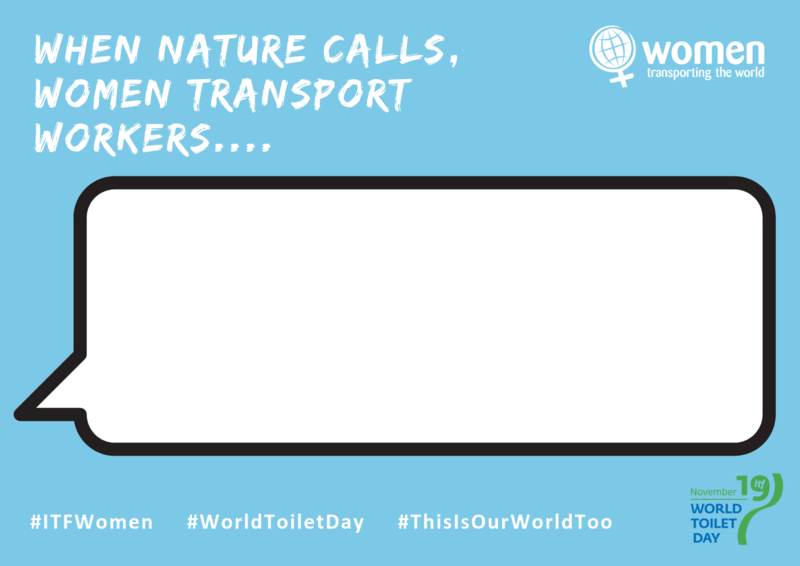 Please use our templates to share your stories on social media relating to transport workers, and in particular women transport workers, when nature calls on the job. During the Congress fringe event, we committed to taking forward discussions with the World Toilet Organisation and building on the work that unions are doing nationally, to develop global pressure for industry change. 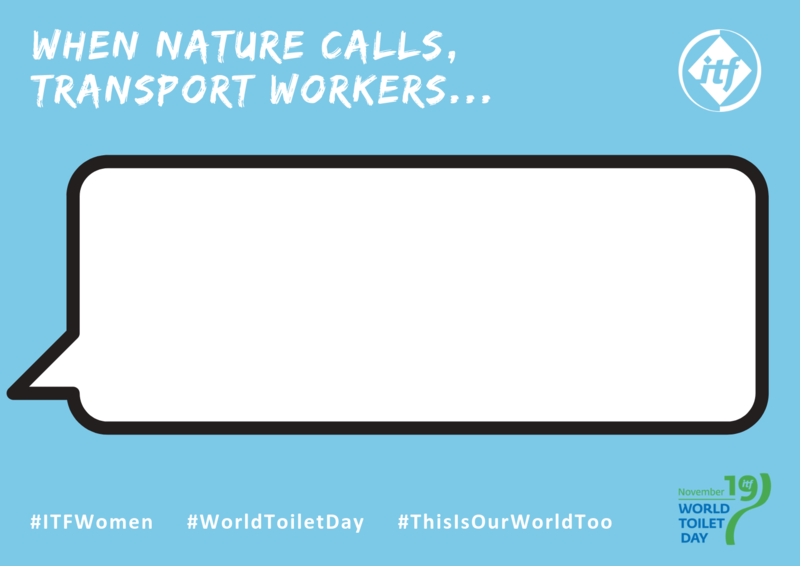 The more stories we can share, the stronger we expose the human rights abuses linked to inadequate sanitation provisions for transport workers. These stories of the impact of inadequate facilities, campaigns, statistics and victories, will help us all build stronger campaigns to win, nationally and globally, on this fundamental issue. During 2019, you’ll be hearing more from the ITF women’s department, who will be working with ITF sections and regions to coordinate our efforts to build this work into our global strategy.